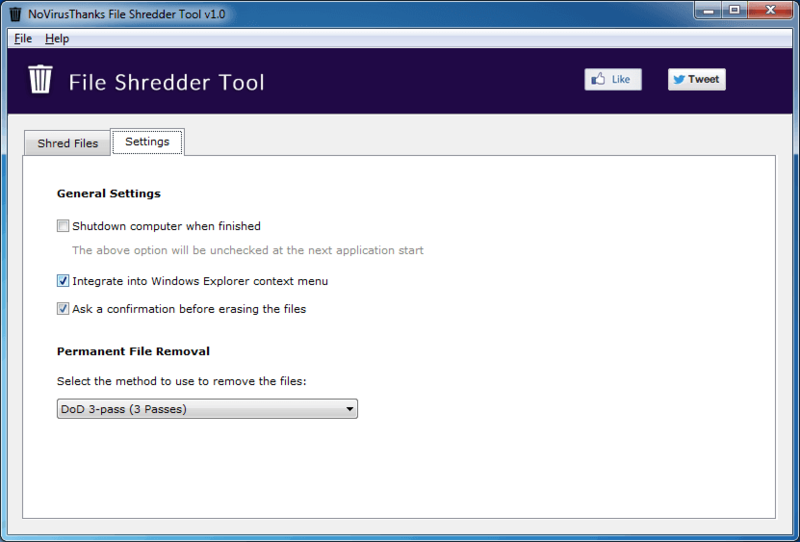 File Shredder Tool is a simple Windows OS utilty that can permanently delete files from your hard drive so that no one can recover them with file recovery software. As you know the Windows native “Delete” operation doesn’t permanently delete files, in fact most of the files deleted via the recycle bin can be easily recovered. 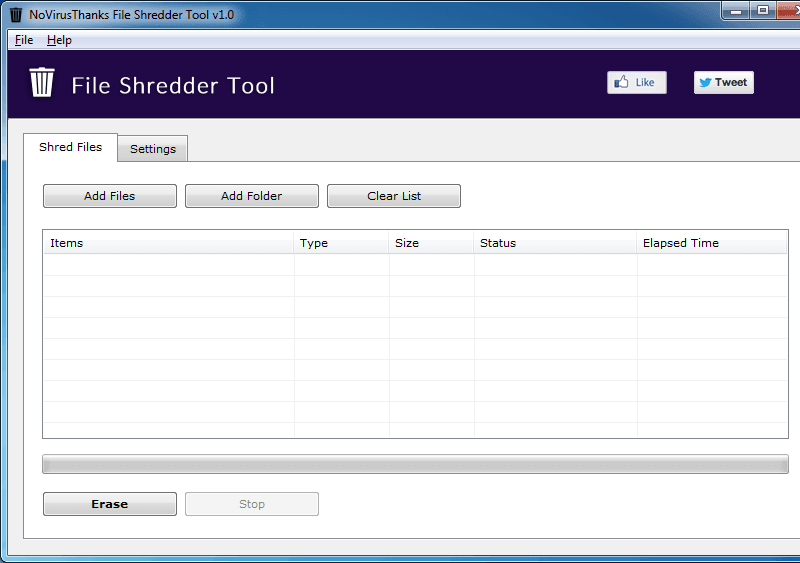 This tool can completely remove sensitive data from your hard drive in a fast and easy way. 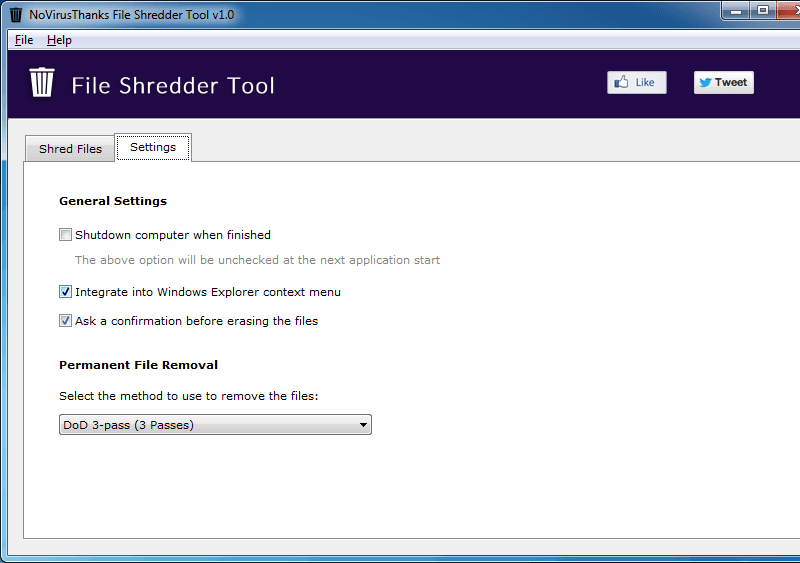 Shred and wipe important files, permanently delete files on your PC. Different shredding algorithms are used to ensure permanent file deletion, it supports a single pass, 3 passes (DoD), 7 passes (DoD) and 35 passes (Gutmann). Before deleting the file this tool renames the file to a random name, making it impossible to even know the name of a deleted file. Permanently delete and wipe files so that they cannot be recovered. 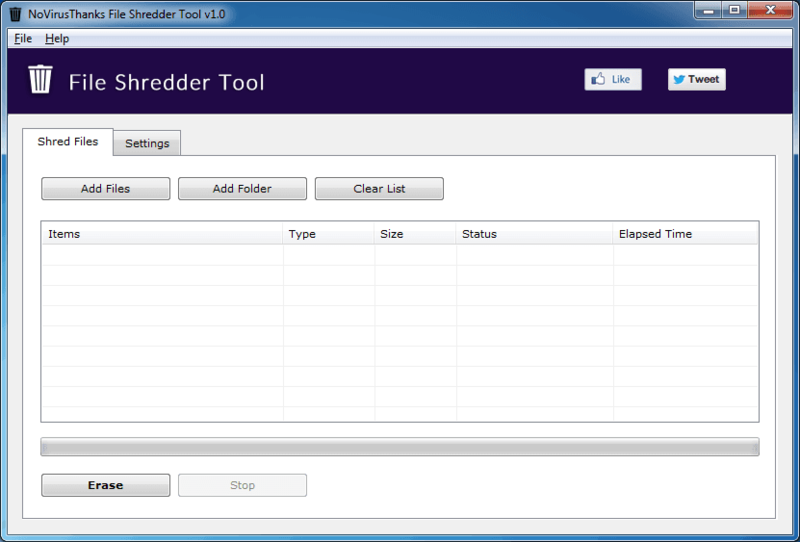 With this tool you can effectively shred also big files of 4GB+ in file size. It supports a single pass, 3 passes (DoD), 7 passes (DoD) and 35 passes (Gutmann). Randomly rename files before they're deleted so the name can't be discovered. Integrates into the Windows Explorer context menu to select multiple files and folders. Since the files are renamed prior deletion no important traces are left in NTFS MFT.